Between Newfoundland and Spain lies the vast Atlantic Ocean, a two-way highway which has served the interests of both countries for centuries. Newfoundland sold salt fish to Spain, as well as to Portugal, Italy, Brazil, and the British West Indies throughout its history. Returning vessels brought back loads of salt, varieties of spices, spirits, dried fruits, furniture, and other valued goods to merchants in this country. Spanish sailors frequented Newfoundland waters long before many other Europeans. 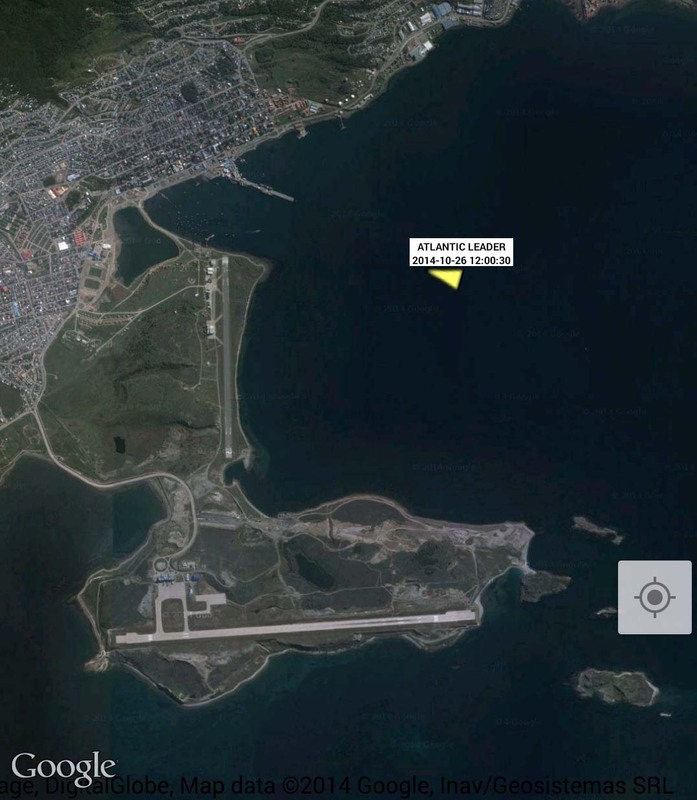 Red Bay, Labrador, a UNESCO Historic Site bears witness to that presence. The highway also claimed the lives of many Newfoundlanders and Spaniards, and their ships, as they sailed back and forth. Spanish explorer Giovanni da Verrazano used the term “Terra Nova” on his map of 1529. St. Jacques contributed crews and captains to many of these ships and others over the years. We can look back to schooner captains such as Isaac Dinham, John Noseworthy, Ike Evans, Ralph Skinner, Randall and Samuel Young, James Dyett, and Thomas Evans among many. Then there are the captains of fishing trawlers, Thomas Lawrence, Lloyd Skinner, Earl Tibbo, and more. Add to that the captains of Navy ships such as Edgar Skinner and Lester Hickey during WW II, and today, men like Master Mariner Andy Brown of St. Jacques shepherds huge tankers through international waters. Though the days of the salt fish trade are largely behind us, our seafaring men and women are still finding their way out into and across the Atlantic Ocean. Some spend a month at a time on fixed oil rigs while others fish for a month at a time. Still others spend most of their year moving from port to port on oil tankers, cargo ships and coast guard boats. In the fall of 2014 four men from St. Jacques, along with several from Nova Scotia and Argentina, undertook a voyage that took them not only from Newfoundland to Spain but from Spain to Argentina; in fact to the southernmost city in the world, Ushuaia. The Newfoundland to Spain leg of their journey was by air to the city of Santander in northern Spain. 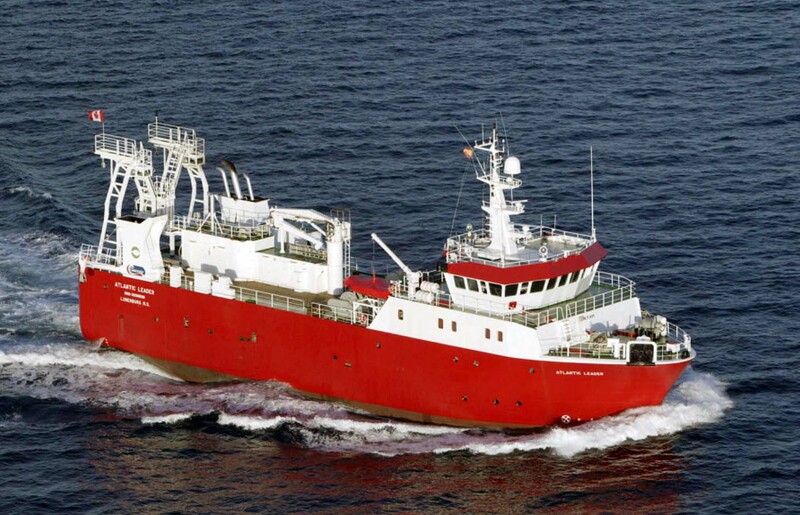 Their task was to oversee the final readying of a deep sea factory freezer fishing vessel on behalf of Clearwater Sea Foods of Nova Scotia, then upon completion of sea trials take it southward down through the Atlantic Ocean almost to Antarctica. 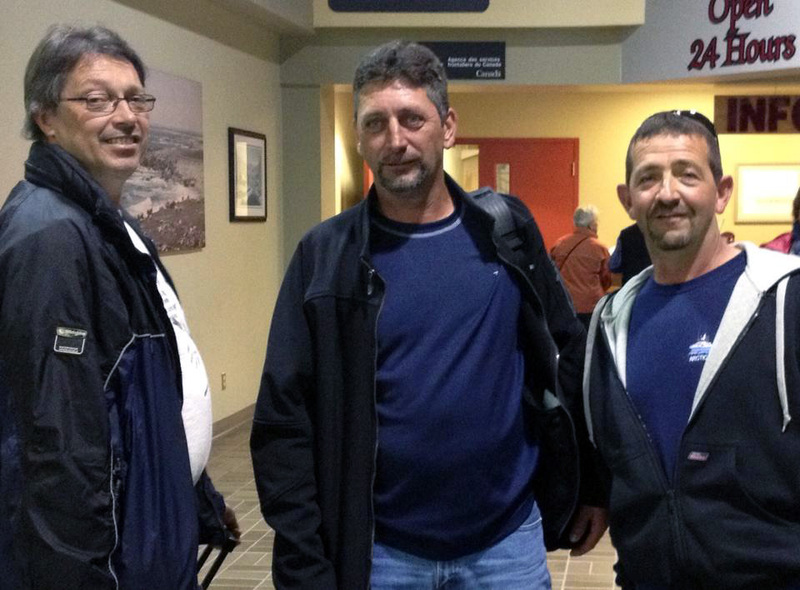 Captain Albert Lawrence, First Mate Roy Lawrence (both sons of the late fishing captain Thomas Lawrence), Brian Whalen and Tom Hickey, all of whom were born in and grew up in St. Jacques – eagerly undertook the challenge of sailing Clearwater’s newest vessel at the time from its shipyard in Spain to its new home port in Argentina. Albert Lawrence had traversed long, ocean distances previously. In 1990 he took the Aquatic Pioneer from Japan and sailed it across the Pacific, down the west coast of North America and through the Panama Canal then up through the Atlantic Ocean to Canada. He fished in international waters throughout the southern Atlantic ranging from the coast of Argentina to South Africa. His brother Roy accompanied him on many of these voyages as did his brother Sam on several occasions when they fished tuna and shark in the North Atlantic. 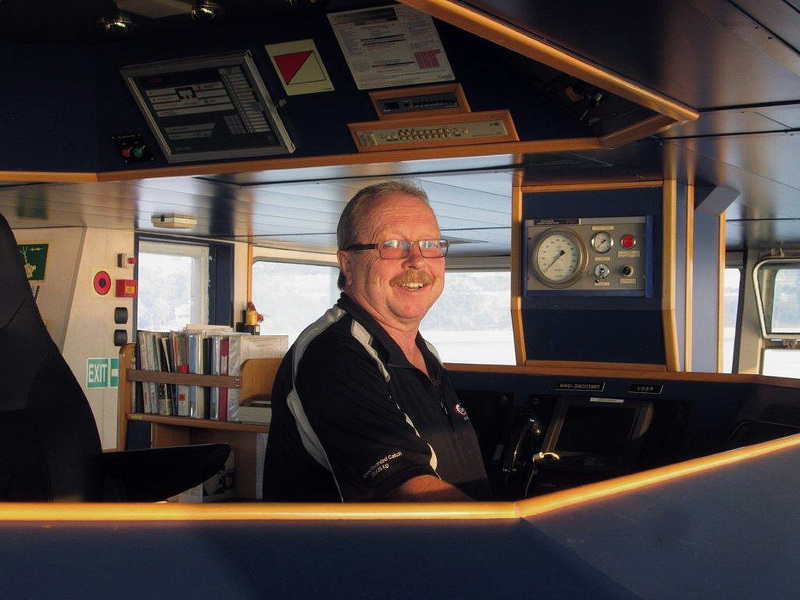 Roy Lawrence is also employed by Clearwater as a ships officer on the Ocean Concord. Since that voyage, he too has acquired his Captain’s ticket. Both Tom Hickey and Brian Whalen had worked with Clearwater in the past. Tom is self-employed as an inshore fisherman in an enterprise he shares with his wife Rosalyn in St. Jacques where they focus on harvesting crab, lobster and cod throughout the year. Brian has worked with Clearwater as well as in the Aquaculture Industry raising salmon in the crisp waters of Fortune Bay. The trip to Santander Spain was the first time that three of them had been to Europe. All three reported on the contrast of beaches, temperatures, water colour and architecture in contrast to what they were familiar with back home in Newfoundland. Their first weeks involved them working alongside Spanish workers as the ship went into its final stage of readiness. It also allowed time to do some sightseeing and exploration of the city of Santander, its cultural spaces, parks, restaurants and of course an occasional bar. Santander has a population of 178,465. In comparison St. Jacques has a population of approximately 150. 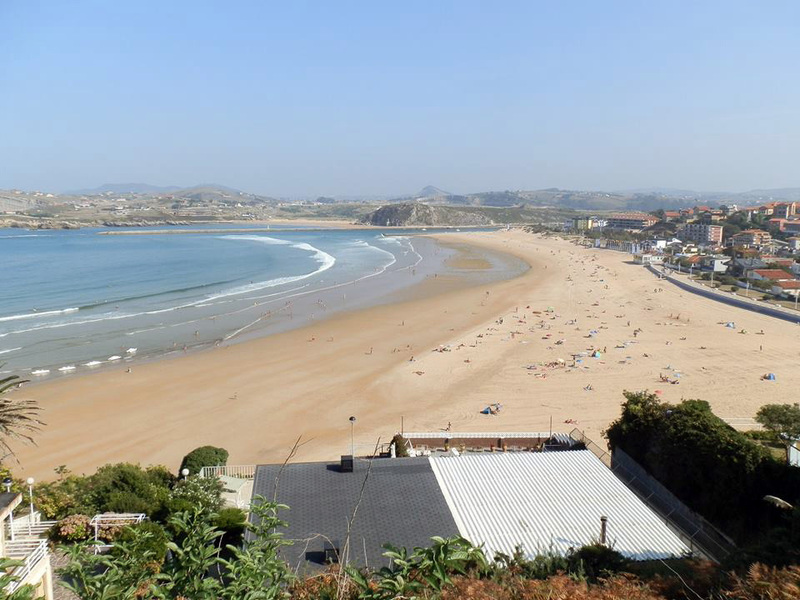 The climate of Santander is with an average monthly temperature around 10 °C. Humidity is high year round. Average temperatures range from 23 °C in summer to 13 °C in winter. Newfoundland has an average summer temperature of 16°C while the average winter temperature is around 0°C. The average summer temperature in Ushuaia is 9 °C while the average winter temperature is 2 °C. 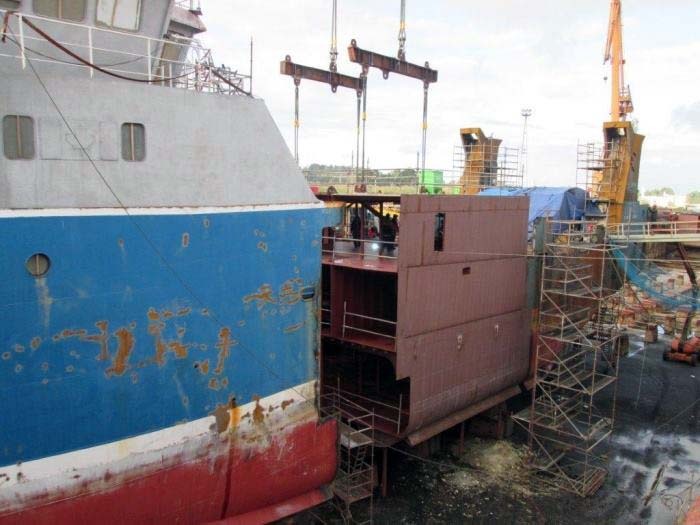 The Atlantic Leader had undergone renovations, and an extension to its hull at the Astander shipyard. After determining the vessel was seaworthy Captain Albert Lawrence and his stalwart crew set sail for a destination halfway around the world. In order to get to their destination they had to leave Santander which is near southern France, sail down past the Mediterranean, past North Africa, and cross the Equator before entering the southern hemisphere. 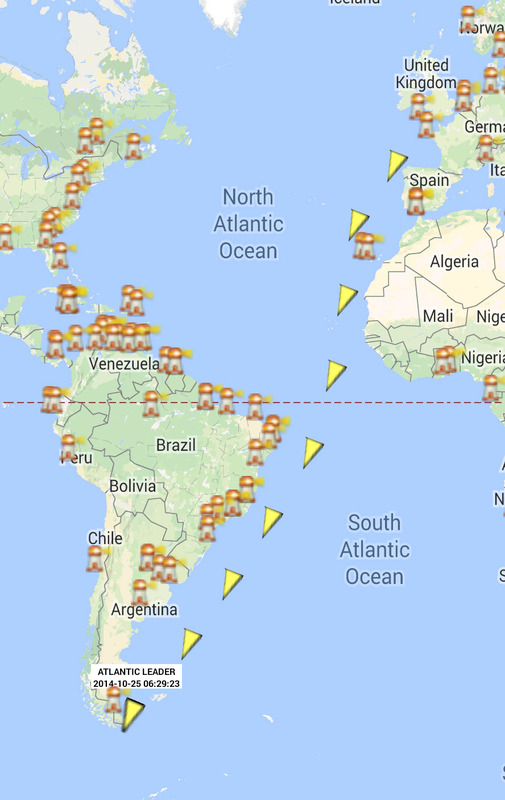 From there they took a diagonal course across the southern Atlantic to South America. Once across the ocean they remained in international waters until reaching Argentina where they had to sail past the Falkland Islands and travel into the straits of Tierra del Fuego enroute to Ushuaia. Like all mariners the first time a sailor crosses the equator it is a time of recognition and ritual. Tom and Brian did this for the first time on the trip. In a time-honoured ceremony they were presented with a Certificate and Tee-shirt to mark the occasion. When asked what there was to see, Tom Hickey, simply said, “Water, and lots of it! It was really interesting to experience the dramatic changes in water temperature over the course of the trip. We went from warm to almost hot, to warm, to cold, and I mean really cold when we arrived in southern Argentina.” Brian Whalen, who is now working towards another fishing ticket, spent as much time as he could with the Captain learning from one of St. Jacques master mariners. He has similar observations about the momentous journey. A challenge which hearkens back to centuries ago and still presents a threat to mariners are pirates. Roy added, “The other thing, which I never dealt with before, were pirates. Pirate warnings were issued regularly in some areas. You had to monitor all vessels and make sure the other vessels you were seeing were not acting strangely or making weird course changes. It had all of our minds working overtime.” As a precaution the crew were told not to use the radio for casual conversation because the pirates are known to use radio signals to locate vessels in that area off Northwest Africa. Once delivered to Argentina the Atlantic Leader was renamed to the Capesante. It will be operated by Clearwater’s partner in Argentina to fish in the South Atlantic. “The climate change was very apparent upon our first sighting of the land with its snow and ice capped hills and mountains”, said Captain Lawrence. “We had travelled from summer/fall in the north to winter/spring in the South, temperatures from 35 to 40C to -5 to 5C in 30 days. Some of the guys only had one pair of pants and long sleeve shirt and no jackets for the cold weather but they braved through it because I don’t believe they cared with the excitement of the voyage being successfully completed without incident. 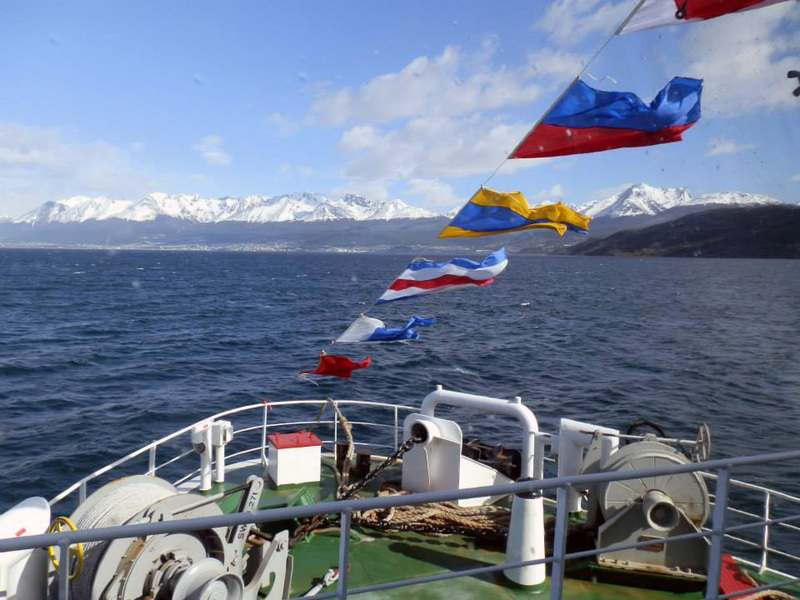 Watch this video of the Atlantic leader arriving in Ushuaia as the Capesante. Video by Luke Hansen MacDonald; used with permission of Clearwater Seafoods of Nova Scotia. If you enjoyed this post you might also be interested in reading the The Ocean Going Skinners of St. Jacques. Excellent write up Alex. A good story. Great story ,well written Thanks for sharing .